about the origin and importance of Waltzing Matilda to Australian History, Literature and Culture. about Banjo Paterson’s poetry and other poets of his era. Students read and view texts that entertain. They read and view imaginative texts such as ballads and/or lyrics. These texts contain characters, settings and plots developed in some detail, and may contain topics and issues that extend beyond the immediate plot. Students understand that the main ideas in imaginative texts are developed through interconnecting plot, character and setting. They identify how language is used to portray characters, people and events in particular ways (eg to create a positive or negative perspective). Students share Waltzing Matilda songsheets and sing song. Song sheets are available from a variety of sources (see further resources). How did Banjo Paterson come to write the lyrics for the song? What interpretation does Warren Brown give of the possible meanings for the lyrics? A Matilda is a swag. What other Australian colloqulaisms appear in the song? Read some other examples of Australian poetry of the period written by Banjo Paterson, Henry Lawson and John Shaw Neilson, (see further resources). Students could act out the storyboard as a drama project or film using a digital camera. Students write their own poem based on an Australian outback theme or icon. 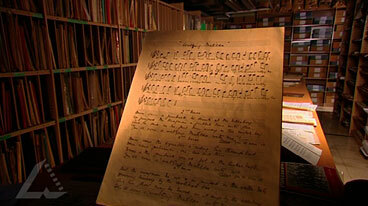 Go to Wallis and Matilda for Banjo Patterson’s biography and poetry, music clip and songsheet. Go to Henry Lawson, government portal for biography and poems. Go to Screen Education for excellent articles and teacher resources for teaching primary English and Media Literacy.